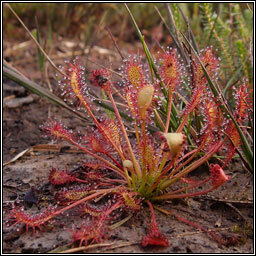 Habitat: Occurs on bare, damp peat on acidic heaths and in shallow bogland pools. 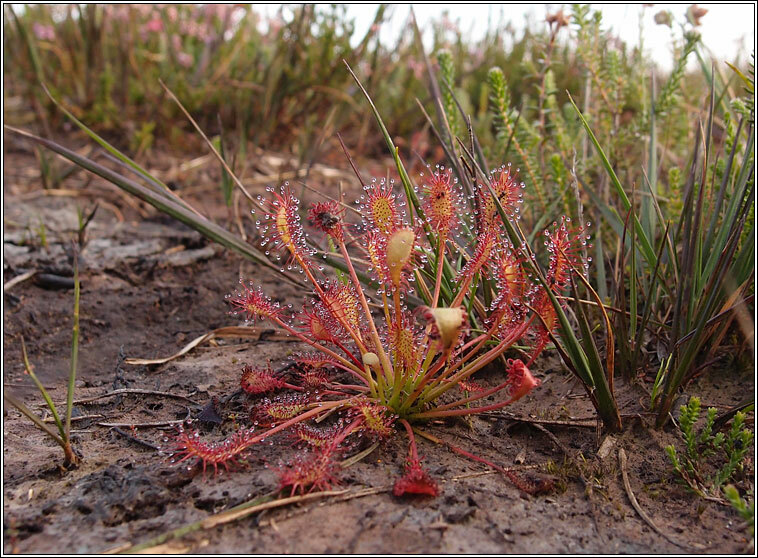 Can be locally frequent on damp heaths in S and SW England and in western Ireland and Scotland. Small white flowers are carried on curving stalks which rise laterally from below the basal leaf rosette. 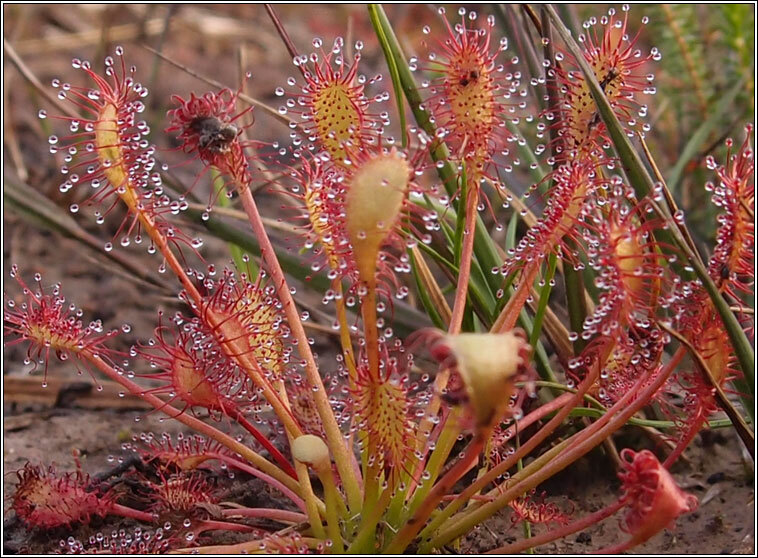 The narrow spoon-shaped leaves are almost as long as the flower stems, and are covered with sticky red hairs which trap and digest insects to supplement the plants nitrate intake.